This is achieved by the systematical removal of waste, which is all processes that add no value. 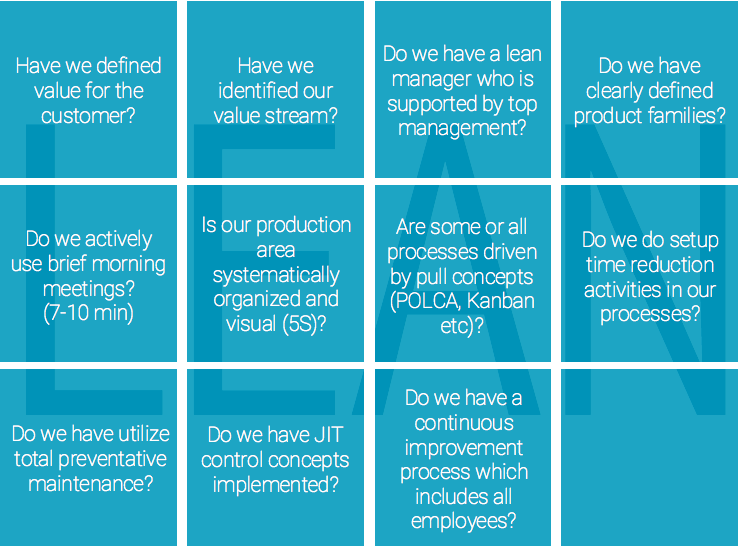 Lean focuses on identifying non-value adding processes and their elimination, and continuous improvement of value-adding processes to reduce cycle times, inventory and hence, costs. Typically, an organisation's employees are trained to work in teams and apply a series of tools and techniques. A value-adding step is defined as anything which the customer is willing to pay for in the transformation of material into customer requirements. Lean works well in a repetitive, high volume, low complexity/customization and stable demand environment. EuroLEAN+ focuses on adapting the lean philosophy, tools and techniques to high variety/low volume production environments. Customised lean is necessary if the product is very complex and highly customised. Due to the low degree of repetitiveness, predictability is very difficult. Furthermore, the production relies highly on the tacit knowledge of the workers.